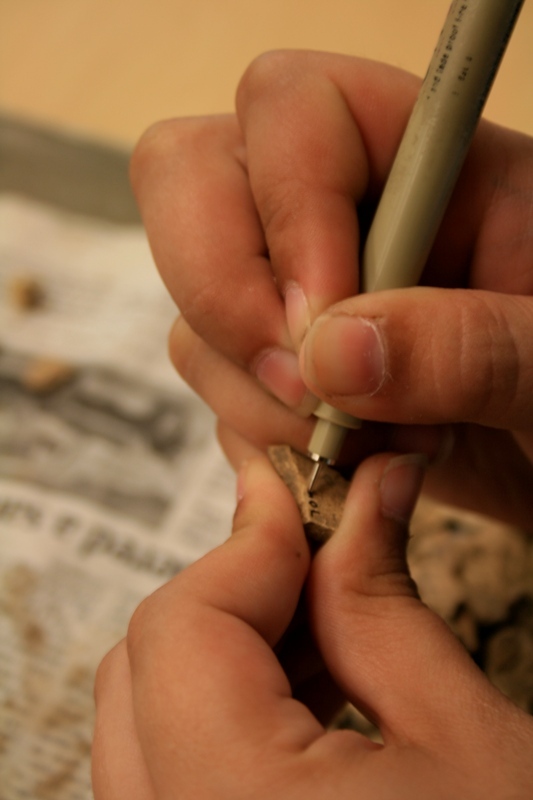 An essential component of any archaeological excavation is the processing of the artifacts. 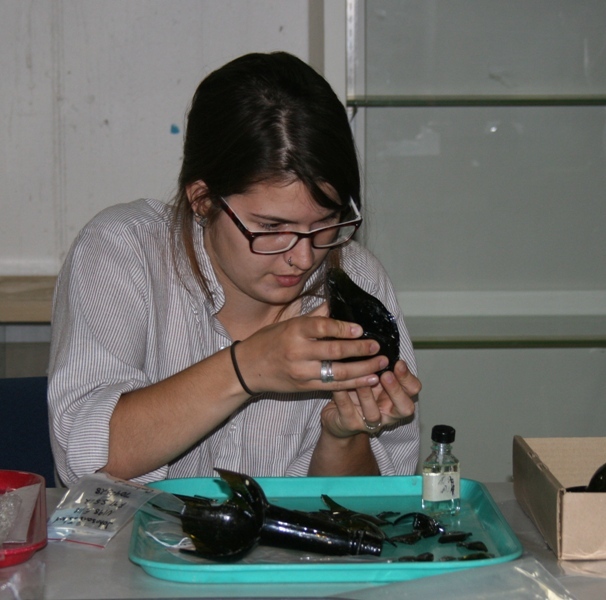 Once a week, our class meets in the archaeological lab at Heidelberg University to sort, clean, and label the materials we have excavated from our units. We begin with a bag of artifacts, carefully labeled with its unit of origin, and sort out the brick, flint, bone, glass, metal, and ceramic. 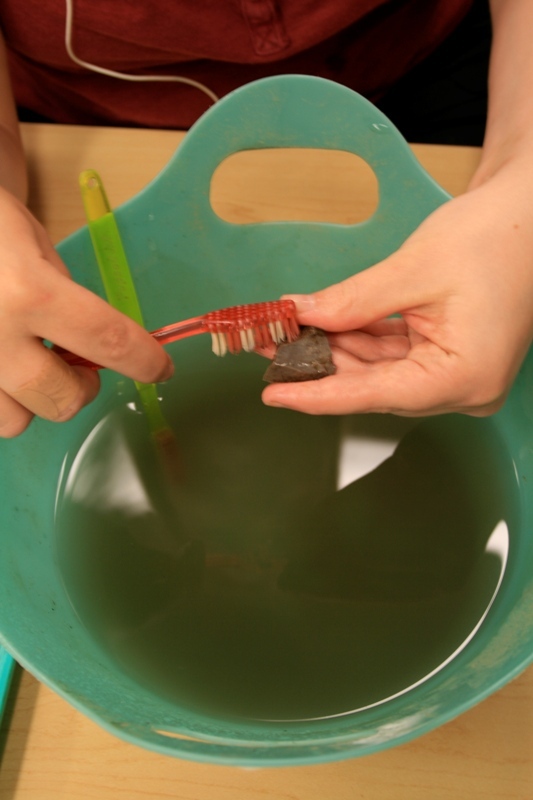 Once the materials have all been separated, we gently scrub each piece of flint, bone, glass, and ceramic in water to remove the dirt. Brick is dry-brushed, and metal must be left untouched to prevent corrosion. After every piece is clean and dry, they must be labeled with a number specific to its unit of origin. 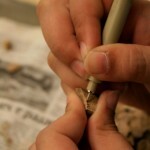 Metal and brick can’t be written on, but every piece of glass, flint, bone, and ceramic, no matter how tiny, must be appropriately labeled with a fine-tipped pen. This is a painstaking but surprisingly enjoyable process! 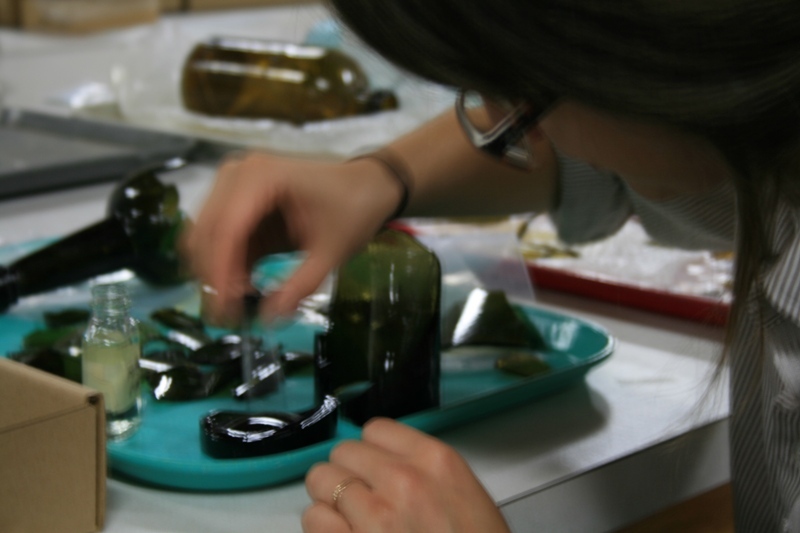 Once the labeling is complete, the pieces of glass are sorted once more, as we attempt to determine if any of the shards might have come from the same bottle. Comparing contour, thickness, color, and similarities in their imperfections and the ways they broke, we can determine which pieces go together. Once we have assembled our likely matches, we take the glass to the refitting lab and piece adjacent fragments back together. Working from the bottom up or the top down, we slowly reconstruct bottles of all shapes and sizes, adhering the pieces together with PVC cement. 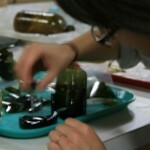 Although it may take many hours to complete a bottle, finding the right pieces is very rewarding. Some features contain many broken specimens that need refitting. This entry was posted on Saturday, July 3, 2010 at 1:48 pm	and is filed under Field Reports. You can follow any responses to this entry through the RSS 2.0 feed. Both comments and pings are currently closed. I am 53 years old, have lost my job many months ago and have joined AIA because I have always been interested in our past, especially the Middle East then South America. How can I get involved in some capacity? I am ready to start as a volunteer worker and see what all goes on in the digs and labs. Please give me some guidance on getting started. Thanks for your help and comments. who’s the lady that’s looking at that thing in her hand??? The lady in this post is a student in the field school working on refitting one of the glass bottles recovered from a latrine at Johnson’s Island. Wow, so cool. 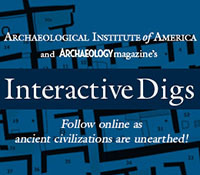 I’d love to be an archaeologist. Go to egypt and see all that stuff.